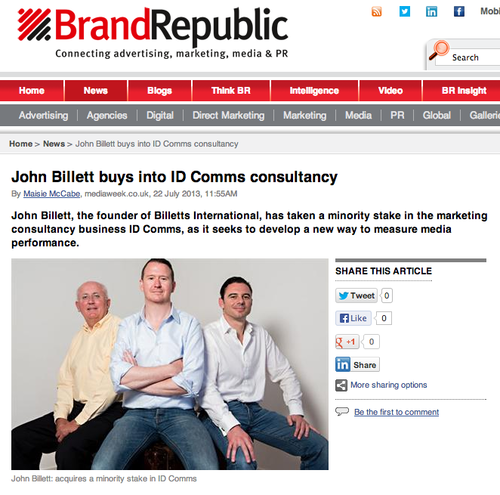 Media entrepreneur John Billett buys stake in fast expanding media consulting firm ID Comms. This comes as ID Comms announces plans to expand its consultancy business, taking on new consulting partners and building out its international network. In 2014 we aim to open a new office in Latin America to add to our London and Singapore hubs, with aims to double the size of our client roster by the end of 2014. The company, which was set up by Tom Denford and David Indo in 2009, will work with John Billett as a new, exclusive consulting partner. Billett has also invested in a 5% stake in the company, with the rest of the equity has been retained by Denford and Indo. The deal marks Billett’s first formal association with any media consulting company since he sold his stake in Billetts International to Ebiquity in 2008. Since it was established, the company has recruited senior global experts across five key media disciplines: client side marketing, marketing procurement, media performance auditing, media planning and buying and digital excellence. Key recruits such as Michael Smith, previously the Head of Digital at COI have helped build both its profile and its skill-set and the company has handled major media agency reviews for Novartis globally (£650m in 105 markets), Associated British Foods Plc (£21m in UK) and is currently working on the L’Oréal media agency pitch which is worth £135m and covers the UK & Ireland. The arrival of John Billett, who effectively founded the discipline of media auditing, now gives ID Comms an unrivalled perspective on media performance measurement. He will help the company develop new ways to assess performance as traditional pool-based media benchmarking becomes less and less effective in the digital age. 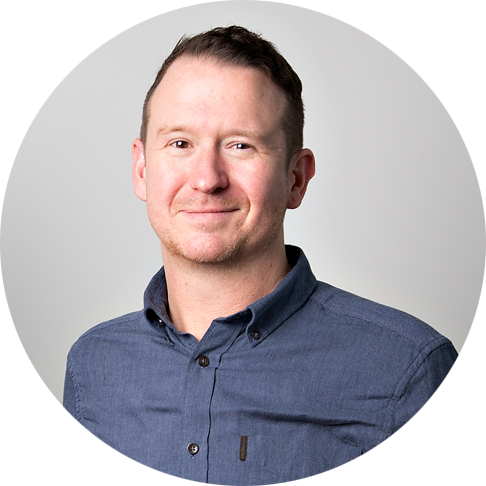 Billett has been working informally with ID Comms for over a year, providing his expert advice and counsel on the next generation of media performance monitoring. This announcement formalizes that relationship.